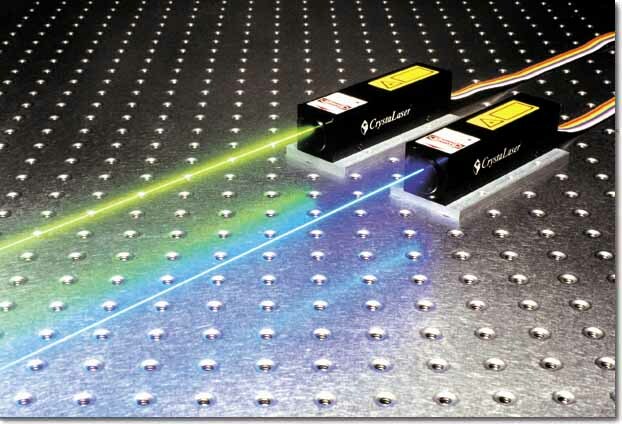 Infra-red (IR) lasers at 1064nm are primarily used for optical trapping, tweezing and manipulation of small particles. These techniques allow measurement and monitoring of the particles without interference from other mechanical or chemical restraining mechanisms. The lasers characteristics are largely driven by the sample and the objectives of the application, but high power stability and beam shape are essential. Laser Quantum offer a number of IR 1064nm lasers, all using power control feedback to ensure the high stability, and with extensive testing of beam quality, they are ideally suited to optical manipulation and many other demanding applications needing IR lasers. The taccor is a unique turn-key femtosecond laser from Laser Quantum with integrated pump source in a hermetically sealed cavity. At 1GHz repetition rate it delivers up to 1.8W of average power with pulses that can be as short as 15fs. The taccor is designed as self mode-locking and stabilising. Melles Griot DPSS lasers are compact and reliable, with minimal heat generation and high resistance to mechanical shock and vibration. A compact laser head delivers excellent output power and pointing stability, thanks to state-of-the art thermal management and current control, which improves performance and reliability in harsh environments. A choice of fiber optic and free space beam delivery is available for most products. We offer yellow, green, and blue DPSS laser systems in a wide range of wavelength and power options. Frequency-multiplied diode-pumped solid-state (DPSS) lasers are an exciting tool for OEM applications. They combine the beam quality of a gas laser and the small sized and efficiency of a diode laser to provide visible output in the blue, green, and yellow wavelength regions. Because of their size, efficiency, power, and single wavelength, these lasers are ideal for use in microscopy, Raman spectroscopy, particle measurement, and graphics applications. Melles Griot doubled DPSS lasers are convection or forced-air cooled and come in a variety of package configurations. Output powers range from a few milliwatts to as high as three watts. In many applications, the green lasers can be used to replace green helium neon lasers (543 nm) or air-cooled argon lasers operating at 514 nm, and the blue lasers can be used to replace argon lasers operating at 488 nm. 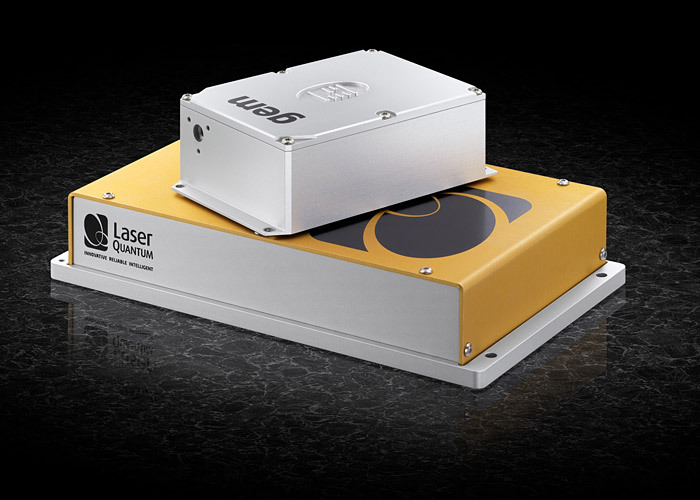 Our new yellow DPSS lasers, operating at 561 nm, are ideally suited for fluorophre excitation, particulary for Rhodamine, ROX, and Alexa Fluor dyes, and are a highly reliable, drop-in replacements for argon/krypton lasers operating at 568 nm. Blue and yellow DPSS lasers operate in a single longitudinal mode, providing a coherence length in excess of five meters.